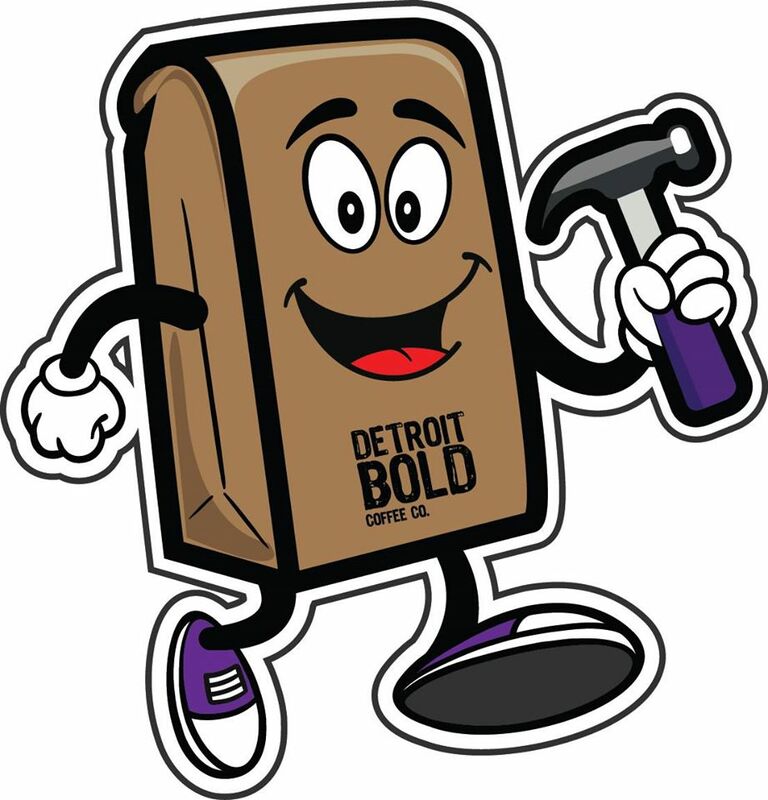 Meet Bold Joe, The face behind Detroit Bold's Million Bag March - Detroit Bold Coffee Co. Bold Joe is on a mission. Hammer in hand, Bold Joe wants to help fix Detroit. 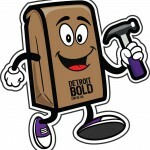 Joe has joined the Detroit Bold Coffee Company as Official Mascot and is leading the charge for the Million Bag March, Detroit Bold Foundation’s drive to sell one million bags/boxes of Detroit Bold MBM Special Blend and using the proceeds to build community-owned cafes in Detroit neighborhoods and beyond. Joe knows Detroit and has a real passion for coffee. Bold Joe has a beans-eye view of a whole lot of what makes Detroit tick. Joe knows the ups and the downs of Detroit and hears it all during coffee talk that happens every day in kitchens, cafés, offices and shop floors. Bold Joe knows no boundaries. If you ask Bold Joe you’ll know that Detroit is much more than a geographic area. Detroit is a persona, a way of life and a grittiness. If you’re Detroit, you’re authentic, real, resourceful, smart, very talented, and well, you’re DETROIT BOLD! So Bold Joe had an idea. Why not harness all of that great skill and energy that so many of us have and use that to help with some of our communities that could use a hand to reach their full potential. To do that, one-million bags (or single-serve boxes) of Detroit Bold’s Million Bag March Special Blend are going to be sold. And why not use Joe ( coffee) , something that millions of us drink every day and use some of the proceeds to help empower a neighborhood in need through community-owned cafés . Once built, Bold Joe and the team will stay with the newly opened café to provide training and support for a full year. These cafés will teach our underemployed neighbors how to run a small business and act as anchorage to solidify the area and attract other business, all while providing a safe place for people to commune-converse-create. Often times, the most formidable impediment to opening a café and insuring its greatest chance of success is the startup capital needed. The Million Bag March is a way for all of us, no matter where we live to have a stake in the fixing of Detroit in areas that need it most. Of course, more than the building of a café, we get to build community. These cafes will need customers to keep them viable and become sustainable parts of the neighborhoods. It’ll be the job of the community to make it a place that will keep them/us coming back! I invite you, with Detroit Bold Coffee Co and Bold Joe to join us! By nature, Bold Joe is more of a listener and observer so please help us define the Bold. Its your Bold too! Please support the Million Bag March by buying Detroit Bold Million Bag March coffee. Just click “Million Bag March” at the top of this page. If you’re in the area, please visit us each Saturday at Detroit’s Eastern Market where we run a café from 7am-3pm in Shed 3, where we’ve sold well over 3,500 bags so far. We’re also starting the Detroit Bold Coffee Club, where we will deliver to your home or office our delicious, locally produced, 100% Arabica Million Bag March coffee. We’d love to see you every month where we can share our progress each time we stop by. We’re going to hit our mark, but we’ve got a long way to go. We need your help us reach our goal! Its easy to join the March right here. Or call 248-277-2640 and we’ll be glad to help. Welcome aboard, Bold Joe. Let’s get to work!